For cutting edge storage and style next to your sofa, consider the solid wood appeal of the Amish Monterey Contemporary End Table. 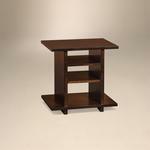 Shaped with shelves and natural modern style, this end table contributes to hosting family and guests with ease. 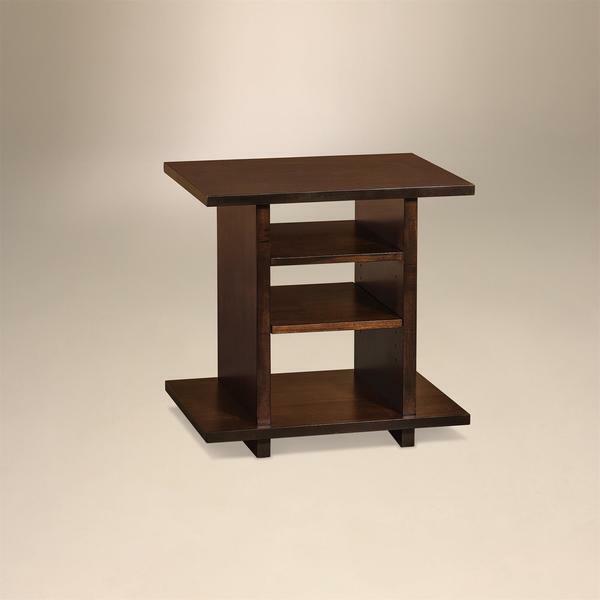 Convenient for holding lighting fixtures and for holding all the things you need when you're lounging on the couch, the Amish Monterey Contemporary End Table offers shelves to hold your tablet, remote control, reading material and more. You've found quality living room furniture that will last. We can't wait for Amish furniture to become part of your family's story. Our team of Furniture Specialists is eager to answer any questions. Get in touch today by email or phone. Questions@DutchCrafters.com or Toll-free at 866-272-6773. Thank you for shopping with DutchCrafters.